When carrying out a complex traffic study, it may be difficult to map the entire traffic situation, especially with traditional methods. Using a solution in form of traffic research from air with a drone and DataFromSky software, all movements are recorded down and analyzed to the smallest detail for unlimited data. In addition to junctions and road sections, the system is also suitable for parking areas, events, station environments or terminals. The knowledge in form of a aerial video with exact traffic parameters, speed measurements and identification of inappropriate or dangerous behavior is a very powerful communication tool for organizations, citizens and politicians alike. Moreover, it is fairly easy to evaluate, or use the results immediately in programs for traffic simulation models such as VISSIM. 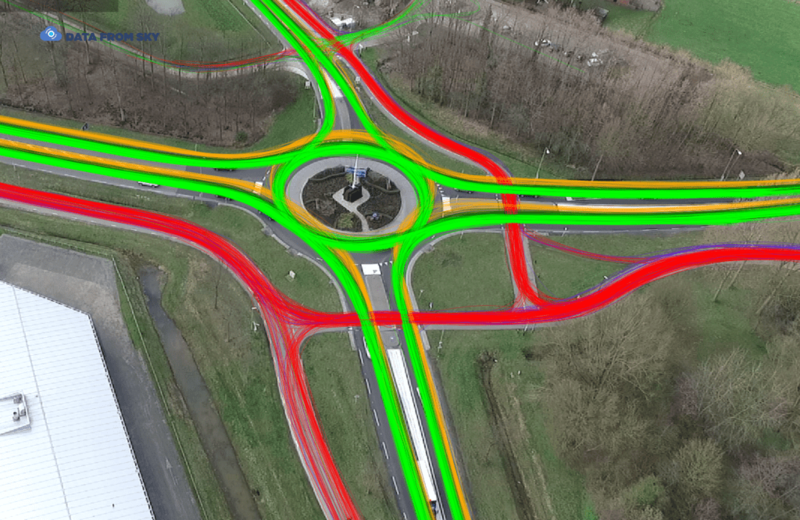 Our partner in the BENELUX region – Roelofs – has recently carried out such complex traffic analysis accross the Netherlands using the drones to analyse the crossroads – especially roundabouts and signalized intersections. The results obtained thanks to DataFromSky were further used to create a simulation model in VISSIM, using the real data about: vehicle categories, speed and acceleration in crossroad, intensities on each lane, vehicle gap time and origin destination statistics. This is the most accurate simulation you can achieve by using real world data! If you want to get more detailed information about the analysis results, click here . At the beginning of July, sUAS news reported about drone traffic monitoring demonstration in Netherlands. 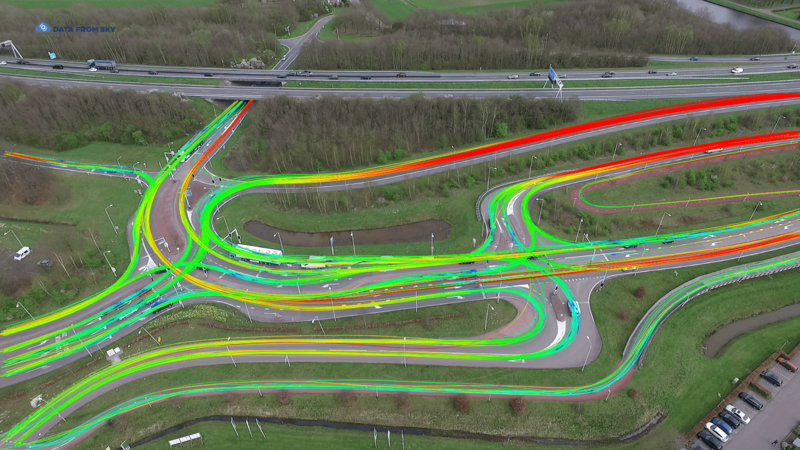 Traffic technology International, an international web-and-print magazine, published in their June/July 2015 issue an article about UAV-based road traffic monitoring based on the Netherlands event under the title Farewell to fixed cameras?. While the one-off demonstration showcased real-time monitoring, not analysis, it is an application of UAVs in traffic nevertheless. The article title is especially poignant for us, since drones can replace fixed cameras for both monitoring and analysis.